I have been working in the health industry since 2003. I am internationally qualified colonic hydrotherapist. I also specialise helping individuals with constant back and general body pain. I am an international body posture alignment therapist. I treat individuals with chronic pain. My passion is educate how the nervous system works what cause pain and how to prevent chronic pain in their body. This info I would like to turn into a book. I have also developed a product to relieve and prevent back pain. I also do awareness talks on how to look after the body and spine. I have also designed and invented products to help individuals from addictive habits like smoking and drinking. My head is always seeing needs in humanity and I design books or products to help humanity. I love nature and animals. I have written and completed two already. 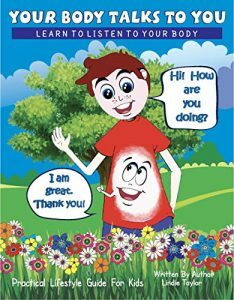 These two books are awareness books to help children and young adults to make better decisions regarding their emotional and physical health. I have many spin of products like diaries and calenders I would like to develop with these books. I write poetry and have a passion for expressive art. I have a few pieces of completed art and always work g on other pieces in my head. I also have a deep passion for animals and mother nature.